Capistrano Barbershop, the Old-Fashioned Barber Shop, is owned and operated by Faraj Capistrano, a Master Barber from Nazareth, providing old world flavor and service of days gone by. We provide traditional and short hair cuts as well as contemporary men's hairstyles. You get the nostalgia of yesteryear in a classy, nostalgic setting full of interesting men and great conversation. We are proud to offer this classic barbershop approach to the Annapolis community. 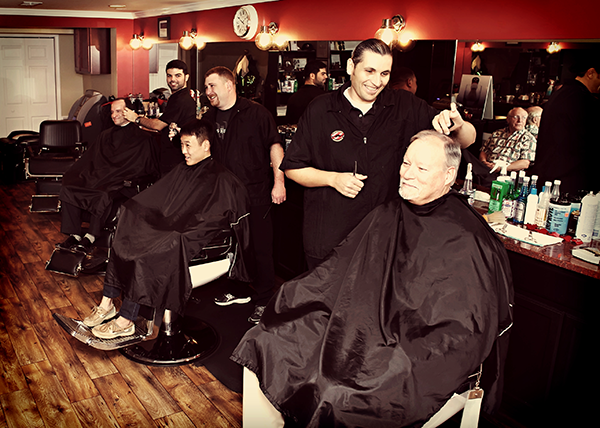 Gentlemen, come in and lose yourself in a genuinely old-fashioned barber shop experience. You will leave looking and feeling manlier than you have in years! Learn why every man should go to a barber shop... and get a glimpse of what makes Capistrano Barbershop different! 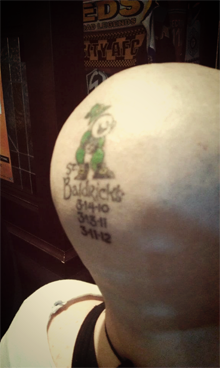 St. Baldrick's Fundraiser last year. We'll be there again on March 12th for this year's fundraiser! Faraj Capistrano was born in Nazareth and has been a Barber since he was 18. His father is from Sicily and his mother is from Lebanon. He has lived in the United States for 28 years and has been cutting hair the entire time. Faraj's love of boating brought him to Annapolis, where he has established his roots with his wife and 10-year-old son, Enzo. 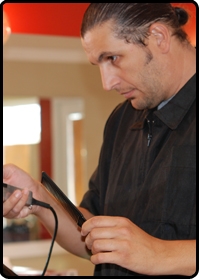 Sam has been a Barber for over 13 years, cuts all hair types and gives a great straight edge shave. Dave, a Maryland Native, has over 10 years of experience and a wealth of knowledge about the area. Our newest addition, but the most seasoned... don't forget Gerard - He has so many years of experience we don't count anymore. Capistrano Barbershop is located in the heart of Downtown Annapolis on Maryland Avenue near the intersection of Prince George Street. It is an appropriately picturesque setting for delivering old-fashioned barber services to the Annapolis community. There is ample metered parking available near the barbershop, or you can choose to park in one of the nearby garages. For information on the Annapolis Circulator, visit this page. 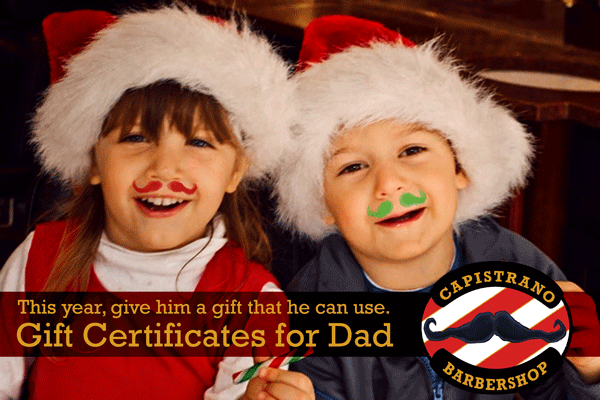 A gift certificate to Capistrano Barbershop would make a perfect present for any man this season. Swing by the shop to pick one up! Or, if it's more convenient, you can send us a check payable to Capistrano Barbershop for the amount of a gift certificate and we'll mail your gift certificate right back! This film was filmed inside and outside of our barbershop. We're being featured this week! Bayside Bride featured us in an article about our groomsmen parties. Remember the old-time barber shop that Dad took you to when you were a kid? 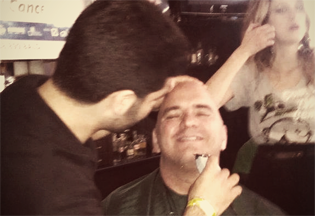 Did you ever think about what it feels like to get a real close comfortable straight edge shave? What do you think the chances are of finding a place to get one at here in downtown Annapolis? 06/04/2017 - It's the best neiborhood barbershop out there. Greeted by name everytime, and if it's your first time you're guaranteed to be remembered and treated like a friend every time you return. The service is excellent no matter whose chair you sit in and the conversational banter never stops. 01/31/2017 - I have been to many barbers in the Annapolis area, and these guys set the bar at the very top. I absolutely refuse to go anywhere else. They tend to get a bit busy at times, but to me the wait is always worth it. The barbers here don't just cut hair - they're artists. I have a job interview tomorrow, and I have never felt better about it! 01/21/2017 - I was looking for a new barber and am so happy I found this place. Sam gave me the best haircut I've ever had, as well as good advice on how to manage my hair specifically. I won't be using another barber as long as I'm in Annapolis! 10/02/2016 - Always happy when my husband gets his hair cut here! He felt the conversation was entertaining and it's an overall good experience. Definitely a craft this barbershop has down pat- it's always busy but we found if he gets there before 5 during the week he doesn't have to wait. 09/24/2016 - They always do a great job busy or not, Capistrano is the place to go & now my favorite barbershop. 08/27/2016 - Was searching for new barber. Found Capistrano's online. Honestly Sam gave me the best haircut ever and I am 55. Attention to detail and just a great guy. Atmosphere was outstanding. Can't wait for my next cut! 02/26/2016 - This an old school style barbershop located in the historic district of Annapolis. 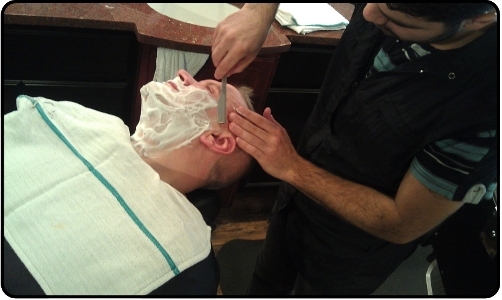 They practice the straight razor shave which very few barbershops do any longer. The service is friendly and the prices are reasonable. Frequently the place is crowded and waiting times can be long as this shop is so popular. So, try to avoid heavy traffic times such as Saturday. The place is closed on Sundays and Mondays. 06/29/2015 - What an outstanding place! First barber I've been to in years and decided to get a shave with my haircut. I walked in 15 minutes before closing and by the time I got to Faraj's blade, it was past closing time. Shave took about 40 mins (I have a lot of real estate to cover!) and it was the most comfortable experience ever! 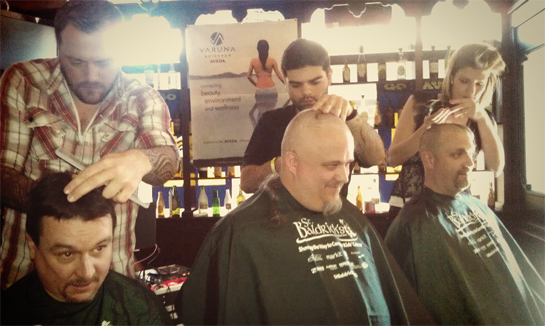 The playful banter between the barbers helped make the experience all the worthwhile! A guy snuck in after closing and they didn't complain one bit. Was referred to Vin 909 for dinner (see that review next, absolutely the best dinner experience ever!) Cash only but there is an atm inside. Will definitely be going back! 08/23/2015 - Personable service, great old time environment plus a better than usual haircut. Loved the Saturday donuts, the beer & tomato juice was just superb. In Annapolis for the weekend, just the place for a couple of laughs. 12/28/2015 - I'm mad at myself for not coming here sooner. More often than not, I have come out of a barbershop not totally thrilled with the way my hair was cut. Not the case at Capistrano. I got the haircut I wanted. Even after 2 weeks, it still looks good. I have even gotten multiple compliments on how nice it looks. But I guess that points out all of the bad haircuts I had before. The difference here is that they take their time. Getting to the next customer isn't the most important thing. It's getting it right with the person already in the chair. Yes, you may wait a little longer, but the atmosphere and the comradery in the shop more than makes up for it. They also provide you with some drink options to help pass the time. A Saturday morning stop at Capistrano every few weeks will now be part of my routine. By the way, did I mention you can walk to Iron Rooster from there? That will also be part of my routine. 10/28/2015 - I swear, I've never had a better cut, nor felt so comfortable at a barbershop. No bull, no pretension, just small squad of really nice guys who understand exactly what their clientele want and need. I leave this place feeling fresher than hell every time, and my girl swoons over the precision of the cut! This is the type of barber shop you only see in the movies. You walk in, its crowded with men and women talking and enjoying the Frank Sinatra station. On a chilly winter night, 1 perfect haircut later this place has made a life long customer. Best barber shop / haircut I've ever experienced in my 27 years. Can't do any better than the best barber shop in the state of Maryland! Had been looking for a go-to place like this for years and luckily was part of a wedding party where the guys got straight shaves and haircuts here. Faraj, Sam and Dave have been taking care of me every since. Don't miss it! 04/14/2014 - Faraj, Dave, Sam and the crew are great barbers who always make the trip to their shop an enjoyable experience. Very friendly atmosphere, but they are all professionals who know how to cut and shave! 05/10/2014 - Great haircut, place makes you feel at home. 03/22/2014 - Before finding Capistrano Barber Shop, I got my mundane haircuts at the mall or some chain. Thank god I found this place, brings old school barber shops BACK and once you experience a straight razor shave and a clean cut by these boys, you will ...MoreBefore finding Capistrano Barber Shop, I got my mundane haircuts at the mall or some chain. Thank god I found this place, brings old school barber shops BACK and once you experience a straight razor shave and a clean cut by these boys, you will never want to step in a Bubbles or SuperClips again! Customer for life! 02/22/2014 - Has to be the best barbershop I have ever been to. Best hair cut I have ever gotten, great conversation, and awesome old-school atmosphere. Price is great as well. It's the only place I will go now. 12/01/2013 - Old fashioned style; Frank Sinatra playing in the back. Just go here. That's all you need to know. 6/16/2013	- Best barbershop in town. Hilarious atmosphere, the barbers are skilled at telling stories and cutting your hair. You're not going to get a better hair cut anywhere else, and they're located right in the heart of Annapolis. There's a ton of great sites to see and they've got lots of recommendations for places to eat in the area. 6/11/2013 - Great place for men. Old school haircut, shave and atmosphere. Very high quality across the board. 01/27/2013 - Great old fashioned barbershop in a great neighborhood of Annapolis. Ask for Sam. He takes his time, treats you right and makes great conversation. 01/10/2013 - Old time, old school. Great cut. Fast service and awesome customer service. They pay attention to the little things that the chains forget--pesky ear hair, errant eyebrow hairs, etc. Definitely a hidden gem in Annapolis. I'll be back time and time again! 08/17/12 - Went today because of the Yelp reviews (in spite of the 20 minute drive). Man, I wasn't disappointed. Super fast, skilled, and affordable. Definitely a place where you go and feel like one of the guys. Loved the banter between the barbers. My wife and I are new to the area, and upon finding out, we received all sorts of great recommendations for places to go eat, etc. Additionally, when we realized that we needed to feed the meter, they gave us four quarters to do so. Just good guys with a real knack for cutting hair. These guys will be my barbers as long as I'm in the area. Just a great place to go. FYI - no CCs accepted, but there's an ATM w/ a $2 surcharge. Take cash, if possible. 06/04/12 - If I could give more than 5 stars, I'd rate Capistrano even higher. This isn't just a haircut. It's a social event. I went on a Saturday with my friends and we spent multiple hours talking it up with the owners and all the patrons. The atmosphere is excellent and I will be back every time I go to Annapolis. If only there was a place like this in Los Angeles! 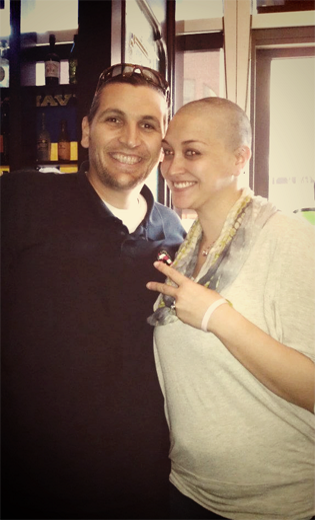 03/29/12 - Best haircut in Annapolis, hands down. Finally, a great haircut, great price, great conversation and classic barbershop atmosphere.. Faraj is a master at holding an easy conversation on boating, while methodically giving you a great cut. Can't wait to take my son for his first real barbershop experience. This swallow will be returning. 02/18/12 - This is a traditional barber shop at its best, and it's not just the haircut, it's the experience that goes along with it. Both of the guys are absolute professionals, and they are masters at what they do. One of my favorite aspects of Capistrano is that they take their time on every customer. They don't pump people through like super cuts, everyone gets exactly what they want at a meticulous level of detail. The hot shaving cream is a nice touch, and Sam is such a pro with the razor that I can barely tell when he's started or finished. But part of the experience is just being there. Inevitably, everyone in the shop participates in the conversation, if they so desire, and it's a totally relaxing setting. They even have their own ATM right there in the store. The guys are awesome, the haircuts are excellent, and the prices really can't be beat for what you get. Best place in town, for sure. 12/8/11 - Just left and I really think that I just got the best haircut I have ever got. The atmosphere was great the conversation was pleasant and the cut was fantastic. The business cards say the way it used to be but they should say the way it ought to be! 12/9/11 - I recently moved back to the Annapolis area, and I have traveling to Hunt Valley to get my haircut with my old stylist, partly out of loyalty, partly out of fear that someone else would butcher my hair. Recently she had to take a leave of absence for her pregnancy, and I decided this would be a great time to explore new options. I found Capistrano's via a Google search and it looked promising. I went into check in out and I automatically felt like I was in the type of barbershops that you see in the "Best of" sections of GQ and Esquire; the old school, no nonsense places where a great hair cut and a relaxing experience are the focus. I watched Faraj cut two customers before me; the first was a man with short thinning hair, and another with longer poker straight, thick hair. Both guys got out of the chair looking 10x more polished than when they sat down. Faraj, handled both with care and was able to translate their requests into what they wanted. I was up next, and besides having very hard to manage hair (my hair looks like the guy on Glee), I am very, very particular about my cuts. I told Faraj what I wanted and how my hair had some "trouble spots" of being extra thick and wavy. 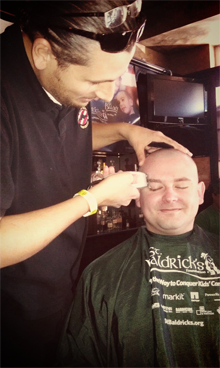 I also requested the "hot shave" as long as it wasn't a burden on his time with other clients that could be coming. Faraj assured me that time was not an issue and that he could handle my hair. Needless to say, he was right; the cut was perfect and exactly what I wanted. The hot shave is a great and relaxing experience; I suggest everyone sets aside the extra 25-30 mins to get it done at some point. The shop has a wonderful atmosphere, and the banter between Faraj, the clients, and his other barber make even a newcomer feel right at home. Faraj pays extra close attention to the smallest details, and gets them dead on. Another great thing about this barbershop is that there is no push to buy some designer hair products; they sell a great hair cut, not 500 different brands of goo, at $30.00 an ounce. I brought my own product and Faraj commented on how much he liked the brands products and had heard good things about my specific product. This was a nice change from my last place, which previously sold the product that I use, then changed suppliers (frequently) and pressured me on a hard sell for their new brand(s); none of which worked with my hair, at all. Bottom line, this place is awesome, and you will have a great experience. Oh, the best part, a cut and a shave here is $35.00, that is less than half of the cost of the place I was going before. 9/7/11 - Capistrano's in short, is a great barbershop! From the second you walk in you feel welcomed. The shop itself is a small old school 4 chair shop with a modern feel to it. Another great catch to this shop is that it is open until 7pm Monday through Thursday and until 6 on Fridays... So it's perfect for an after work cut and shave. My barber, Sam, was a younger guy that really knew his stuff (8 years of experience). A little into the cut the owner, Faraj, walked in and just started talking like I've been going there for years. I learned that he has been in the business for 24 years. This cut is probably the best I've ever gotten and I have definitely found my new barber. I highly recommend this place if you're tired of bouncing around looking for your next haircut, you go here and you will find your barber! 8/28/11 - I brought my 7 year old son in for a cut recently. I was happily surprised that a place so classy could also be so kid friendly. Faraj is a natural with little ones and made my son feel like a big guy. Not to mention it's the nicest cut he's ever had (which is hard on a little kid who never stops wiggling!) Thanks for the friendly hospitality, we'll be back! 8/20/11 - A haircut, a shave, and a hearty handshake. Such a night and day from the russian roulette of hair cutteries and great clips. There's an attention to detail prevalent in this Barbershop, magazine's like Rolling Stone and newspapers sit in the congenial waiting area, donuts (Carlson's!) and coffee gratis while you wait. The only way this place would be more of a manly sanctuary of manliness is if there were bears to wrestle while you wait. Faraj does a wonderful job and does it with the effortless touch of a man practiced at his craft. Highly recommended. I'm never going back to crap clips or hair butchery again. Of note: They don't accept credit cards but have an ATM on premises. The merchant fee isn't very steep. I considered the merchant fee part of the tip. Does Visa, Mastercard, et al charge merchants so much that setting up an ATM on premises and charging merchant fees is warranted? I wouldn't know. This speculation is just sour grapes on my part and doesn't impact my opinion of their service. 8/14/11 - I didn't know what to expect from a high end barbershop, Lately I have been to going to a place that seems more like an assembly line. My experience at Capistrano is at the opposite end of the spectrum. First of all the shop itself is not typical barbershop decor, very comfortable and nicely appointed. The owner does an excellent job of haircutting, and is very good at conversation. It is the kind of place that you feel a connection more like you are visiting with friends than paying for a service at a business. next time I plan to get the haircut and shave package for the full experience! 7/22/11 - I just tried Capistrano for the first time, and I have to say that it has become my new go-to place. The barber is very friendly, efficient, and does quality work. Glad to have a business like this in the neighborhood! 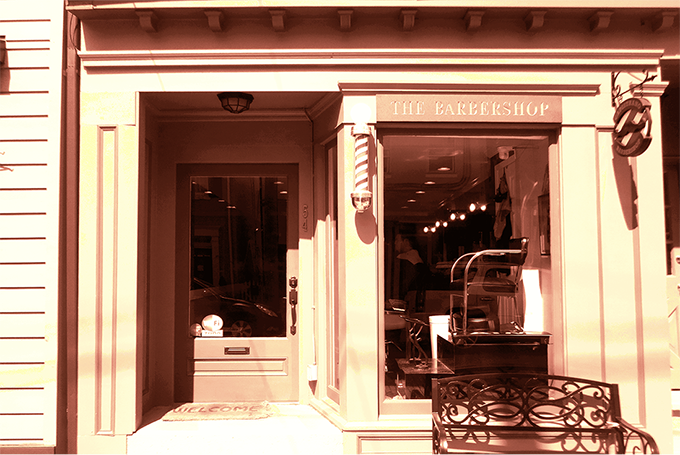 7/10/11 - I am easy to please as far as barbershops go, but Capistrano barbershop is by far the best in Annapolis. Guys are great to talk with, took their time cutting my hair, and actually used a clean new razor to clean my neck (I stopped other barbarshops in Annapolis from doing it due to their rusty razors that are never cleaned). Give these guys a shot! Great haircut on Friday. Lara Fritts is the relatively new head of the Annapolis City Economic Development Office and she had an email sent thru the Mayor’s office encouraging us to stop by your shop for a haircut. I’m please that she did because I’ve finally found a barber who knows what it means to give a complete haircut here in Annapolis. Thanks, and I’ll see you in a few weeks for my next haircut. I want to publicly thank Capistrano Barbershop and master barber Faraj Capistrano for the father/son haircuts on Saturday. Faraj did an artful job on a very nervous 2-year-old, and became the first barber/stylist to successfully complete a haircut for Henry in over a year. Thank you!!!! My husband loves Capistrano Barbershop! Since I've known him (for 20 years) he's been a serial barbershop/salon jumper and has never gone to the same place more than 3 times. But he loves Capistrano! And I love the way his hair looks. Thanks, Faraj and team! Got a very nice haircut from Sam on Thursday pm. I plan on bringing my son in this weekend to introduce him to the finest barbershop around. Faraj, thank you so much for cutting Henry's hair. It looks fabulous, and considering he is just 2 years old, he hardly cried at all. We will definitely be back and will tell others how great you and your shop is!!!! Faraj, great job!! I will be returning and definitely would love to pick up a shirt or two from you!! Thanks again! !